We have great EA Resident offers, special weekend getaways & Festive & New year specials. Great news for you. Hemingways Nairobi has great offers and weekend specials this season. 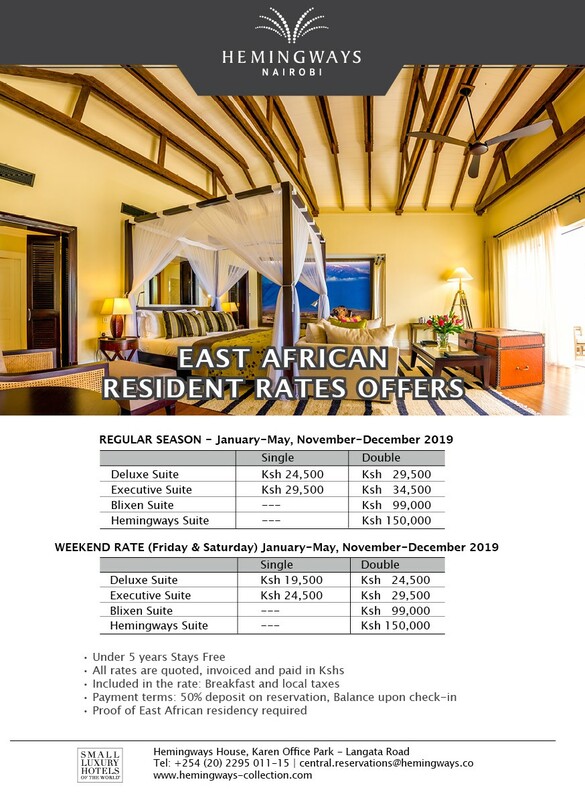 We have new EA Resident offers, special weekend getaway rates and Festive & New year specials. Be the early bird by booking now. • Under 5 years stay free. • All rates are quoted, invoiced and paid in Kshs. •The rates include: Breakfast and local taxes. • Payment terms: 50% deposit on reservation, balance upon check-in. • Proof of East African residency required.